We hold expertise in manufacturing & supplying Ceramic Fiber Rope from Gujarat, India. These Ceramic Fiber Rope that we offer are manufactured from high performance ceramic fibers that are spun and combined with the related reinforcing media to develop tensile strength at higher temperatures. 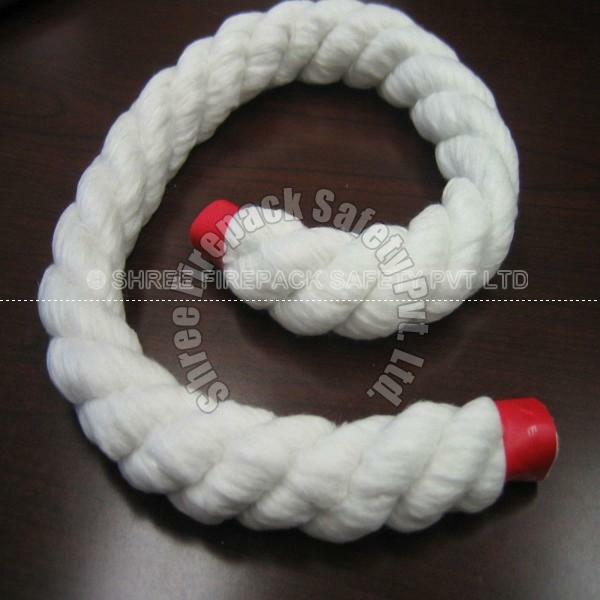 Our Ceramic Fiber Rope are accessible in tailored specifications, defined by the buyers. On e can get them at feasible prices, from us. A rope is a length of fibers, twisted or braided together to improve strength for pulling & connecting and can also be called as fibril or filament. 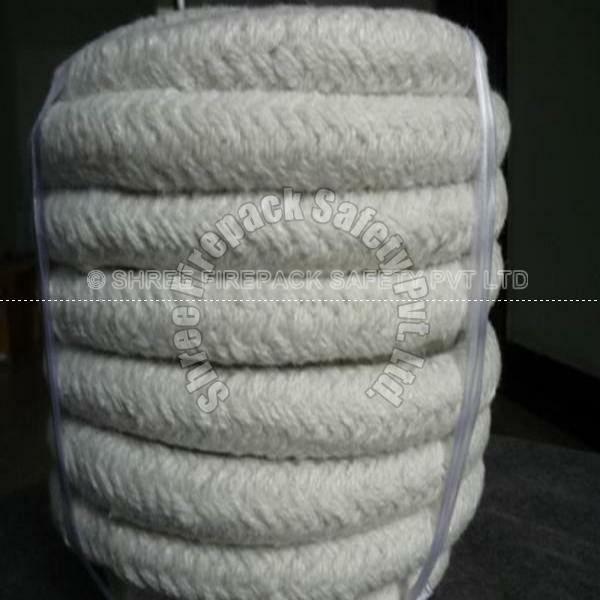 Ceramic fiber rope contain 15% organic carriers, which helps to establish physical formation of products which burn out at about 750*F(400*c). these ropes are produced by twisting multiple plies of ceramic fiber wicking together. 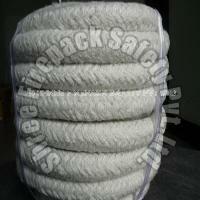 Standard 3-ply twisted rope is relatively soft and low in density and is the most economical choice. HD 9-ply twisted rope provides increased compression resistance and strength and is much higher in density ( about 50% denser) than 3-ply twisted rope. Both ropes are also available with covering of inconel wire mesh, which drastically increase resistance to mechanical abuse. This rope is famous for its specific features that include durability, reliability, high tensile strength, unmatched quality and reasonable rates. 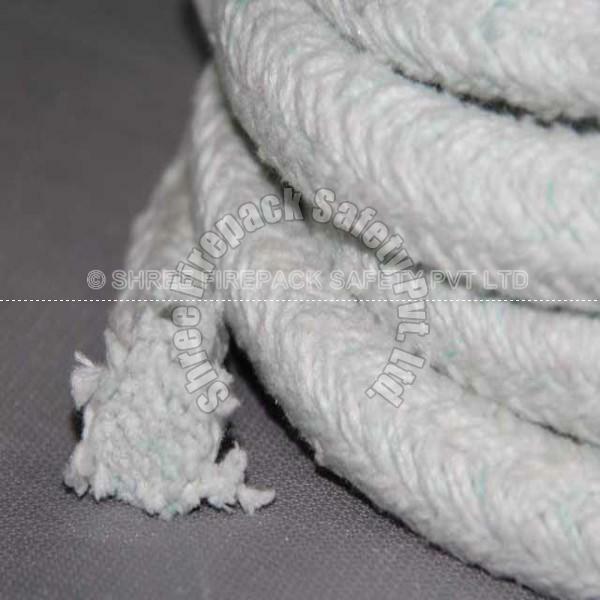 Ceramic Fiber Rope finds application in many areas that include door seals or caulking for ovens, furnaces and boilers, expansion joints, cable or pipe wrapping, high temperature seals or gaskets. These products have been widely used in welding, foundry works, aluminum and steel mills, boiler insulation and seal exhaust systems, shipyards, refineries, power plants and chemical plants.